Dentures. Z Dental Group - Beverly Hills Dentist, Los Angeles Dentist. At Z Dental Group we will make a mold of the jaw and custom make a denture to fit you allowing you to chew and have the appearance of teeth. 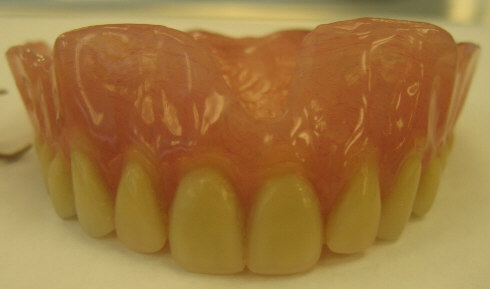 Dentures can drastically improve the quality of life of a patient that has lost all of his/her teeth and can even be anchored into the jaw with dental implants for a “rock solid” feel. With the improvements in technology and dental implants, even if you have lost all of your teeth, you can leave the office after only a few visits with natural looking and feeling permanent teeth. Daily cleaning of dentures is recommended. Plaque and tartar can build up on false teeth, just as they do on natural teeth. Cleaning can be done by chemical or mechanical denture cleaners.